The festive period offers the chance to enjoy some classic carols. Music is central to the celebration of Christmas, be it cheesy pop standards or favourite carols. Benjamin Britten, whose centenary year we have been celebrating, wrote extensively for this time of year, whether arranging carols or writing new cantatas. As a final hurrah for this great composer's centenary year, my recommended recordings this month feature Britten’s Christmas music first and foremost. Britten enjoyed a long and successful collaboration with Cambridge, and in particular with the Choir of King’s College. This new recording of his cantata is an ideal alternative to the familiar: the cantata’s nine parts trace the life of Saint Nicolas, the saint who became known in the west as Santa Claus, but there the obvious Christmas connection ends. The music, which allows for audience participation in sweeping arrangements of hymns such as 'All people that on earth do dwell', is engaging in its seeming simplicity: scored for tenor (here the superb Andrew Kennedy follows in the footsteps of Peter Pears, who created the part), choir, organ and orchestra. Steven Cleobury leads the Choir of King’s College and the Britten Sinfonia in a performance of great variety and a real sense of occasion. It’s the perfect antidote to too many mince pies, and will continue to delight you long after the festive season has passed. An extra bonus, the CD also includes the great Hymn to Saint Cecilia and the extraordinary Rejoice in the Lamb. Britten’s most celebrated Christmas music is surely the Ceremony of Carols, an arrangement of medieval texts that has become a staple of choirs around the world. 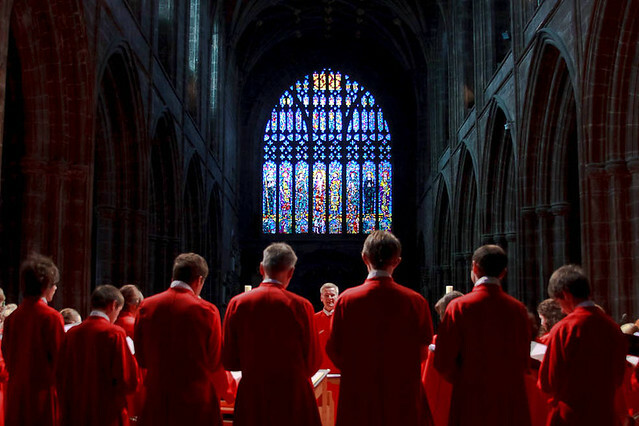 Britten preferred his original arrangement - for a boys’ choir - and it is this version that appears on Decca's annual King’s College compilation, again under the direction of Steven Cleobury. It emerges as fresh as ever, but I have to profess a preference for 'A Boy was Born', which includes an exquisite arrangement of Christina Rossetti’s poem In the Bleak Midwinter. It’s a generous disc and also offers contributions from Britten and Pears themselves, before wrapping up with a perfectly judged 'The Holly and the Ivy'. A perfect disc for Christmas, whether you like the traditional or are looking for something a little different. Paul McCreesh and the Gabrieli Consort (with the trebles of the Copenhagen Royal Chapel Choir) provide my personal 'best of the season'. Carols old and new, spanning eight centuries from anonymous medieval carols (including the lovely and familiar 'Veni, Veni, Emanuel') to new arrangements by Pott, Dove and Leighton make up the programme. Performed with extreme beauty and remarkable intimacy, this is an inspirational disc that gave me real pleasure on first hearing, that only increases on repeated playing. Dove’s The Three Kings is an incandescent piece of music making, and the disc concludes with the complete Britten A Boy was Born, in as atmospheric a performance as you may hope to hear. What recently-released recordings would you recommend? What is your favourite soundtrack to Christmas? Accapella The age old reason for Joy. Joy indeed at something bright and happy and new. I am German, Lutheran, and prefer Bach´s Weihnachtsoratorium.